It’s legit. Star Wars is back at its best and the disappointing prequels can now be forgotten for real. Set approximately three decades after the events of Star Wars Episode VI: The Return of the Jedi (1983) without including the expanded universe, the new evil faction First Order, inspired by the defeated Galactic Empire, has become the galaxy’s biggest threat to freedom and justice. They are in search of the last Jedi, Luke Skywalker (Mark Hamill), to eliminate what they believe to be the only Force left that could destroy them. The Resistance, backed by the Republic, are also looking for missing Skywalker in hopes to getting his help to fight the First Order. Under the helm of co-producer and director J.J. Abrams (Star Trek films, Super 8) with script co-written by him along with Lawrence Kasdan (Empire Strikes Back, The Return of the Jedi) and Michael Arndt (The Hunger Games: Catching Fire, Toy Story 3), it is pretty much back to the basics and the same formula of the original trilogy. If you’ve seen Episode IV: The New Hope and Episode V: Empire Strikes Back, you’d find a lot of things very familiar and similar in The Force Awakens, particularly with the storyline, but thankfully, it worked as well as, if not better, than other classic franchises that recycle its own formula, like Back to the Future and Mad Max. It may be to a point that it’s very predictable (thanks to the hundreds of ripoffs as well) and at parts, overly convenient, but the film is still fantastic in almost every aspect. It is not easy to go back to basic but Abrams managed to deliver. From maintaining the same tone to using practical effects (most of the characters including the droids and aliens are not CG!) while giving it the boost of energy and pace that the original films do not have and also incorporating CGI far more effective and subtle than the prequel trilogy and the “special editions” did. The spectacular visuals and John Williams’ epic score are so amazing that it brought tears to my eyes. It may seem very try-hard with the amount of extremely huge scope and wide angle shots, but no one should ever complain about it. Not many films have the capability or budget to do it. Some sequences include long takes of the actors running or fighting while showing a lot of the background without cutting to other angles. The film completely immerses and compels me to that world once again and it’s simply marvelous. It is also surprisingly very humourous (some jokes are homages to the original) and quite emotional as well. If you grew up watching Star Wars, you’d definitely find it highly nostalgic as well. The lightsaber action is not as fancy or polished as in the prequel trilogy, and it’s also a bit cheesy the way it finishes off, but at least these fight sequences substantially mean something, all thanks to the well developed character and story. Definitely more thrilling than watching two characters fighting and flipping around just for the sake of it (yes, I’m referring to the prequels again). The action in the air and space, too, are more than just flying, chasing and “pew pew pew”. There are simply a lot of fun in this very first new trilogy film itself. The cast in strong in this one as well, both new and the original. 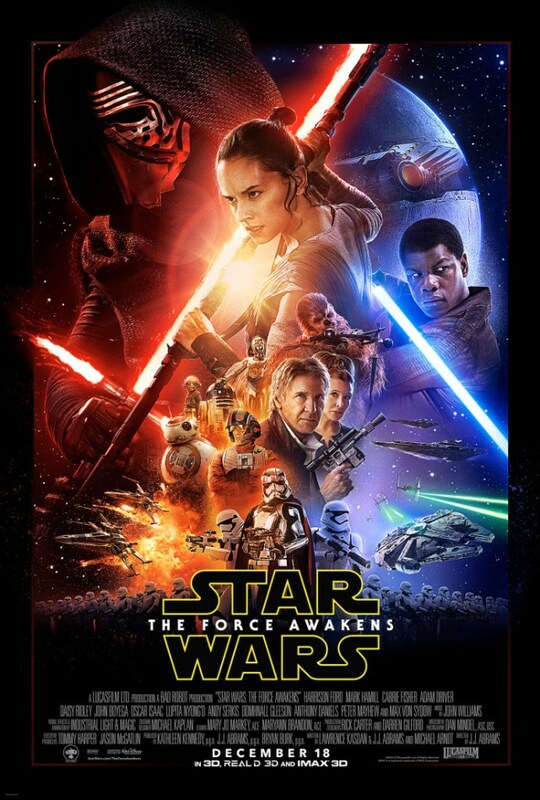 The energetic John Boyega (Attack the Block) plays Finn, a Stormtrooper who crashes onto the desert planet of Jakku and comes across a scavenger named Rey, portrayed by new comer Daisy Ridley (Scrawl), and a mysterious droid called BB-8 that puts them in the middle of the war between the First Order and the Resistance and from there, without spoiling any more of the story, their life-changing journey begins as they are forced to face powerful Dark Side warrior Kylo Ren (Adam Driver) together with the heroes from the past who have become myths and legends. Boyega’s performance is energetic and hilarious but the star of Episode VII is Ridley, who’s not only extremely gorgeous charming, but is also very genuine and sincere with her role, the kind of performance that could make many fall in love with her. Out of all the original characters, Han Solo (Harrison Ford) and Chewbacca (Peter Mayhew) appear the most in the movie as their roles are pivotal in this instalment. Although there are scenes that allow certain characters to strongly express their depth and emotions, the film’s quick pacing does cause a few problems, mainly the unconvincing connection between the new protagonists and the old ones. But then again, without the quick pacing, the film may not have been this fun to watch. Not sure if it’s the lack of the creepy breathing sound but some early reviews from critics and fans have criticised the main antagonist, Kylo Ren, for not being at least as menacing as Darth Vader. I, for one, disagree. Apart from having more screen time to show his cruelty and power more than Darth Vader in The New Hope (not mention that Ren isn’t even a “Darth” yet), the character is also less one-dimensional with emotional conflicts and almost immediate reveal of his past in the second act. Indeed, it is necessary to have one cool main villain, but if it’s just another Darth Vader or Darth Maul, then would’ve been the point of this new trilogy? Even the purpose of his unique lightsaber’s crossguard blades is acceptably justified in a fight scene. If there’s any fault at all with Kylo Ren, it’s Adam Driver (While We’re Young, Inside Llewyn Davis) who couldn’t provide a performance as impactful and memorable as it needed to be. Other known great actors such as Oscar Isaac (Most Violent Year, Inside Llewyn Davis), Andy Serkis (Planet of the Apes films, The Lord of the Rings films) and Lupita Nyong’o (12 Years a Slave) have very little screen time. Isaac’s role as the Resistance’s best pilot, Poe Dameron, is highly likable and has the quality to be one of the main protagonists as well. The motion capture CGI characters Supreme Leader Snoke and Maz Kanata played by Serkis and Nyong’o respectively have too little to do, especially Snoke who only sits on a chair in all of his three small hologram scenes. Iko Uwais and Yayan Ruhian, the Indonesian martial art stars from The Raid: Redemption (2011), are also highly underused as members of the Kanjiklub Gang, appearing for only one tiny moment. Another character that many fans have also started criticising is Captain Phasma (Gwendoline Christie) the female leader of the Stormtroopers who practically does nothing but cancelling the strong element of feminism that’s already provided through the protagonist Rey. 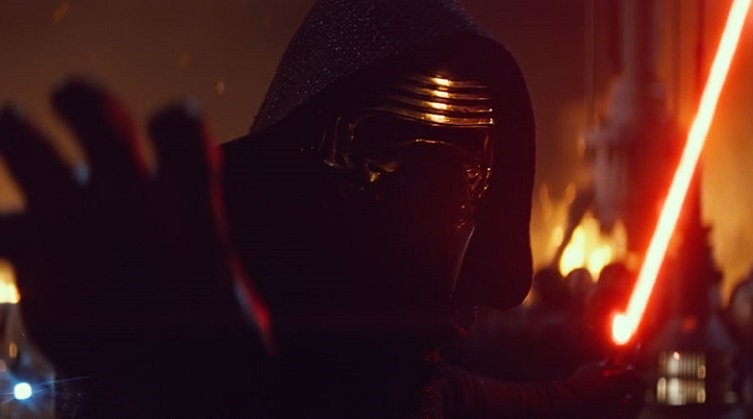 As expected, this episode leaves us with plenty of compelling questions (like how the heck did Kylo Ren get his hands on Darth Vader’s burnt helmet?!) that may all be answered or at least hinted in upcoming episodes. If I were to nitpick, there are indeed some noticeable flaws and parts that could’ve been handled better, like why doesn’t the major tragic incident seem that big of a deal when it is supposed to be? Not to mention about it emphasising that character hugging this other character for comfort instead of the one that actually matters? But remember, the three original films weren’t perfect either. Despite being guilty for being formulaic, Star Wars: The Force Awakens is one brilliantly produced science fiction action adventure fantasy. There’s no denying that at all. It’s so entertaining that its whole 2 hours and 20 minutes could feel like only an hour and even those who has never seen the first six episodes could still enjoy it as a standalone as well. At the end of it, where there’s a cliffhanger as any fan would expect, I can’t help but to clap on the outside while screaming, “I WANT EPISODE VIII NOW!” on the inside. Post-credit scene: Of course there isn’t one. I’d like to believe people stayed to enjoy the beautiful score by John Williams… and the credits. Malaysia censorship: There isn’t even as much as a kiss. To watch in 3D? I watched it in IMAX Digital 3D format and find it immersive enough with subtle three-dimensional depth and great sound. Cinemas with Dolby Atmos is also highly recommended as the film’s sound was also officially mixed in that format. Unfortunately, cinemas in Malaysia (and probably the whole of South East Asia, for that matter) are incapable of truly projecting the full glory of films/scenes shot in 65mm/70mm IMAX format. Second opinion: My girlfriend, who fell asleep four time while watching the original trilogy, felt that this one’s “nice and updated” and made her feel like revisiting the original trilogy “properly”. Verdict: Fourth, if not third, best episode of the franchise.